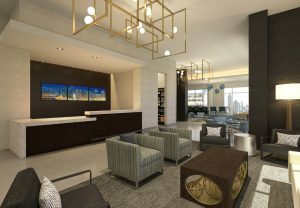 Marriott International announced that the SpringHill Suites by Marriott in Atlanta, Georgia is scheduled to open on Thursday, May 17, 2018. 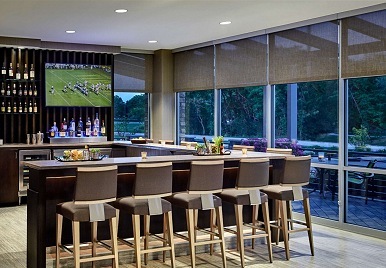 The 170-suite hotel, located at 239 Ivan Allen Jr. Boulevard, will operate as a Marriott franchise, owned and managed by Vision Hospitality Group, Inc. of Chattanooga, Tennessee. The SpringHill Suites Atlanta Downtown is located close to the Georgia Aquarium and Centennial Park. The hotel offers guests convenient access to the Center for Civil & Human Rights, the College Football Hall of Fame and the World of Coca-Cola. 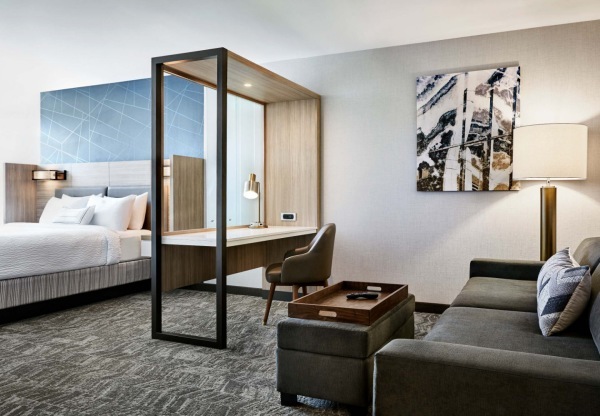 Ideal for business and leisure travelers alike, the new hotel offers a little extra space with suites larger than a typical hotel room. Separate living, working and sleeping spaces provide guests with flexibility and functionality. The hotel offers comfortable beds, soft linens and plush pillows to allow for an optimum night’s sleep. Each suite also features the SpringHill Suites’ custom, three-in-one, West Elm sofa which converts from a sofa to a daybed to a trundle bed – without sacrificing its stylish good looks and a stylish West Elm Swivel Chair offering additional space for relaxation. The designated work space offers a well-lit desk space to ensure maximum productivity for those who need to get down to business. The hotel also offers Marriott’s new MVP Guest Entertainment Technology providing; over 40 HD channels, interactive guide, streaming Netflix, Hulu, YouTube, Pandora and Crackle. From the guest rooms to the lobby every aspect of design, from furniture and lighting, to colors and fabrics; has been carefully selected to offer calm and refreshing spaces to allow guests to relax and recharge. Featuring a brand new design that adds depth and sophistication to the decor, the hotel’s lobby is a great venue for conducting casual meetings or simply to socialize with SpringHill Suites’ enhanced evening experience. Enjoy delicious food and beverage offerings, including local craft beer and premium wines available through the hotel’s full-service bar or the 24/7 Market. Daily complimentary breakfast is filled with hot, healthy and indulgent choices including fresh strawberries, steel cut oatmeal, cold cuts, cheeses and much more. This is SpringHill Suites’ way of making sure guests have a good start to their day. Flexible meeting space with floor to ceiling windows and a beautifully decorated exterior courtyard allows for hosting any event, and you’ll easily lose yourself in the spa like bathrooms with separate living areas. 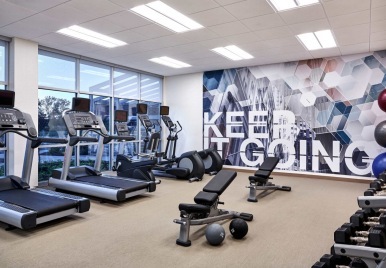 The hotel also offers business services, complimentary Wi-Fi, same-day dry cleaning, guest laundry facilities, a meeting room and a fitness center. Quite simply, from business trips to leisurely journeys the Springhill Suites by Marriott Atlanta Downtown, GA. is a breath of fresh air.